It is always a real pleasure to discover a debut author who delivers a great story with strong characters and captivating writing. 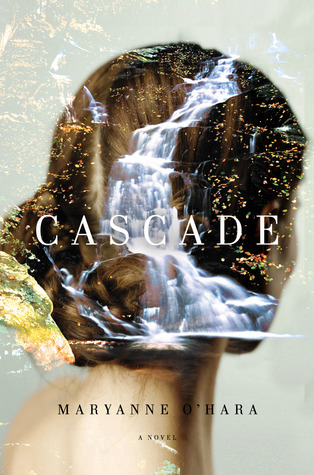 Cascade by Maryanne O'Hara is one of those debuts. On a superficial level this book is about a young woman who lives in a small town called Cascade in 1930's America. The depression is affecting her friends and family, and the world is starting to head toward World War II. In Cascade though, there is a much more immediate threat. The Massachusetts Water Board has decided that they need a new reservoir to supply drinking water to Boston, and they therefore want to flood a valley to create it. There is one town that will be lost as part of this project - either Cascade or another smaller town nearby. Desdemona Hart Spaulding grew up in Cascade and she has now returned to the town after travelling through Europe studying art. Her father owned a theatre which put on Shakespearean plays but with the Depression biting hard, he was in danger of losing the theatre. 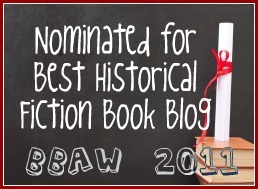 When he loses his battle and then becomes ill Dez chooses to marry the local pharmacist, Asa Spaulding. From Desdemona's initial perspective this is a good marriage. Asa is a good man, but he is a man of his time. He wants a wife to be at home, raising the children he desperately wants and when Dez's father dies and leaves him the theatre, he is the owner of the theatre that Asa is driven to reopen in grand style. In contrast, Dez wants to paint, to explore her art. What this marriage doesn't have is passion, something that Dez doesn't really realise is missing until she meets a Jewish man, Jacob Solomon, who shares her passion for art and feels an instant chemistry. As the whole town battles to try and save itself from imminent destruction, Asa and Dez's marriage begins to fall apart, victim to Asa's misplaced faith in Dez, to Dez's growing attraction to Jacob and her artistic ambitions, as well gossip, rumour, death, anti-Semitism and more. At a time when divorce was scandalous, Dez must decide whether to follow her own way and court scandal or to stay in a life where her art will suffer as much as she will. At it's heart this book is about Dez's choices and their consequences. Dez is an interesting character. There are lots of times when as a reader you read about a character who doesn't necessarily make the 'right' decisions and you either don't like them or at the very least you can't relate to who they are and why they do what they do. O'Hara has managed to create a character who may not behave how I like to think that I would, but I was able to empathise with her moral struggles, with her desires and her ambitions. With the destruction of the town to create a damn such a major part of the book, I found myself thinking about a reservoir up in the Adelaide Hills where there were townships flooded in order to create the reservoir. The drive is twisting and windy, carved out of tree covered hillsides. As you approach the reservoir you begin to see glimpses of the water. I remember being told that if the water levels were low enough that you could sometimes see some of the ruins of the town that was destroyed in order to create the mass of water. I never saw the ruins, and now I doubt that you ever could, but as a kid I remember looking for them every time were drove that road. I feel as though there are so many more things that I still haven't said about this book. I haven't talked about the gorgeous cover, how good the portrayal of the art was plus the descriptions of the art scene in New York in the 1930s or the sliding doors nature of some of the key relationships. So much more to talk about, but I am also conscious of hoping that other readers will share the pleasure of reading this fantastic book, of getting to know Dez and the small town of Cascade. I can only hope that others are as captivated by this book as I was! When I started the book, I found myself thinking that it was a slow read, and yet I was up until 1am last night finishing it, unable to put it down until I knew how it ended. I certainly hope to read more from Maryanne O'Hara in the future!